To be honest we probably don’t even think about it. 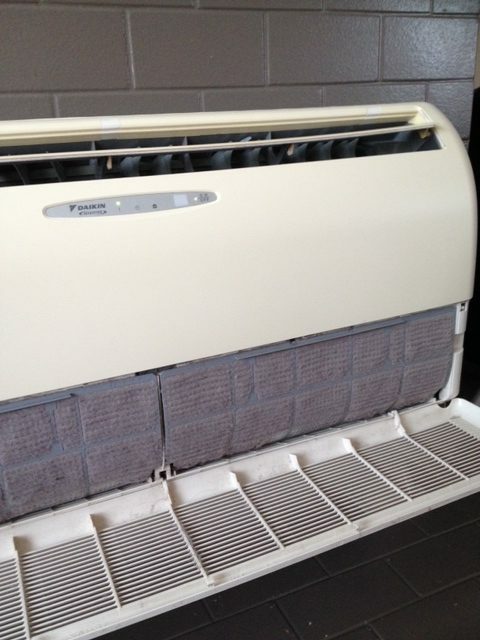 Busy Bees do come across many heat pumps that have not had filters cleaned regularly. This may be due to the fact they are hard to reach, you don’t see the filter so we simply do not remember to check it. It is very important to check your filters on a monthly basis not only to keep your appliance work at 100% capacity and efficiency but their are health risks associated with dirty heat pump filters. They are a breeding ground for bacteria, mould, those pesky dust mites and harmful pollens. Now some will say it is fine to check and clean your filters every 6mths but I personally find that I am cleaning the filters at least once every 3 mths but I do check monthly and in winter I find I’m cleaning more often. If you are saying to yourself right now, “I have not checked mine in a wee while” please make this your new weekend job, it may surprise you. Heat pumps can fail and the research suggests most failures have come directly from owner neglect. It is also good to let your tenants know to keep an eye on filters. It is a good heating investment but do not let it go to waste due to not cleaning the essential part of the appliance. Heat pump filters can be cleaned by removing them from the unit and vacuuming them with a brush attachment or washing them gently in mild detergent and warm water. I personally use Palmolive dishwashing liquid especially if the filters have become sticky. With regular cleaning will will only need to vacuum the filters not a full wash, but for piece of mind washing is always a good idea. Make sure to be very gentle with the filters as they are quite delicate and can easily put a hole in the filter if care is not taken. Wipe down the outside unit cover with a damp cloth and mild detergent to keep it dust free, and clear the area around the outdoor unit, keeping it free from garden waste and dirt.